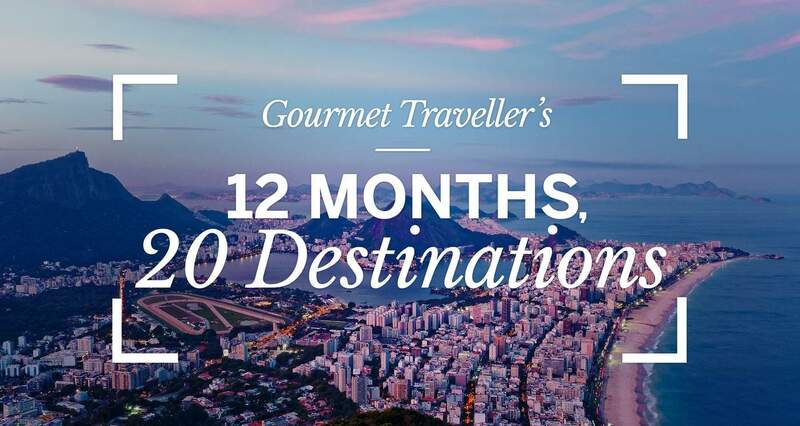 Whether it’s hiking through fields of wildflowers in Slovenia, hunting down the best restaurants right now in Mexico City and Hong Kong, or lazing by the beach in Rio, Gourmet Traveller’s team of globetrotters is always ahead of the game. From the pages of our magazine, these are some of the most exciting destinations Gourmet Traveller has explored in the last 12 months. Time to pack your bags. Long one of the world’s great dining capitals, Hong Kong has shifted into overdrive, with more – and better – restaurants opening faster than ever before. 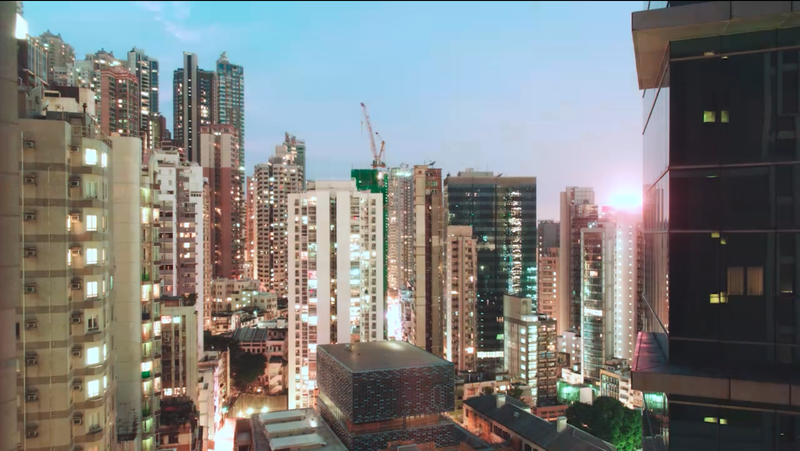 Whether it's the rustle of money or the glow of its native culinary culture, Hong Kong is a magnet for overseas talent – from greenhorns looking to make their mark to empire-builders and old hands interested in a new market. Australian expat chef James Henry is one of the latest to set up shop in the city, opening neo-Parisian bistro Belon early in 2016. Though deep-pocketed groups and hotel chains still dominate the top end of town, independent operators are becoming more of a presence, and some of the smarter groups are building their concepts around their chefs rather than the other way around. 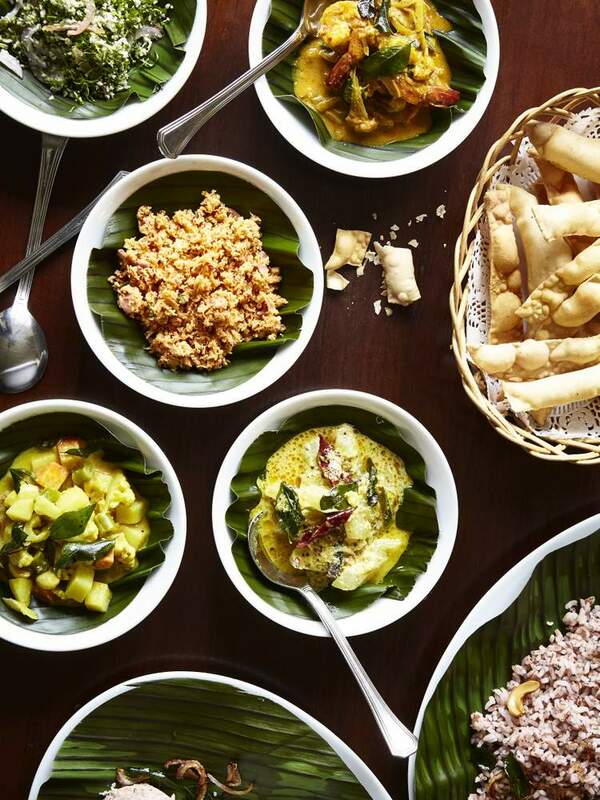 It is, in short, a particularly excellent time to be an adventurous diner in Hong Kong, and it's the perfect time to spend from 25,000 Membership Rewards points* with Cathay Pacific to get there from Sydney. It's a small town but San Sebastián, on the Bay of Biscay in Spain’s Basque Country, has everything – sandy beaches, architecture, culture, art, music, great bars and extraordinary food. Bar snacks at Paco Bueno. Unlike Madrid or Barcelona, where it’s not easy to really get under the skin of the city, here you can immerse yourself in the culture instantly. Proud, unbroken traditions of fishing, foraging, farming, wine and cheese and very traditional old restaurants and bars coexist with a concentration of some of the most modern cooking in the world in San Sebastián. It’s a mix of fancy cocktail bars, stand-up pintxos bars, and dive bars playing rock and roll and a touch of ska. The Promenade at the port of Ponza. Viewed from a distance, the flat-topped houses of Ponza Porto appear to tumble into the sea in a blur of pastel pink, orange, lemon, blue and mauve. The largest island of the Pontine archipelago off the coast of Italy’s Lazio region, Ponza is one of those destinations that everyone talks about but hardly anyone has been to. The islands have an aura at once of exclusivity and obscurity, which makes them a favourite hideaway for the rich and famous. 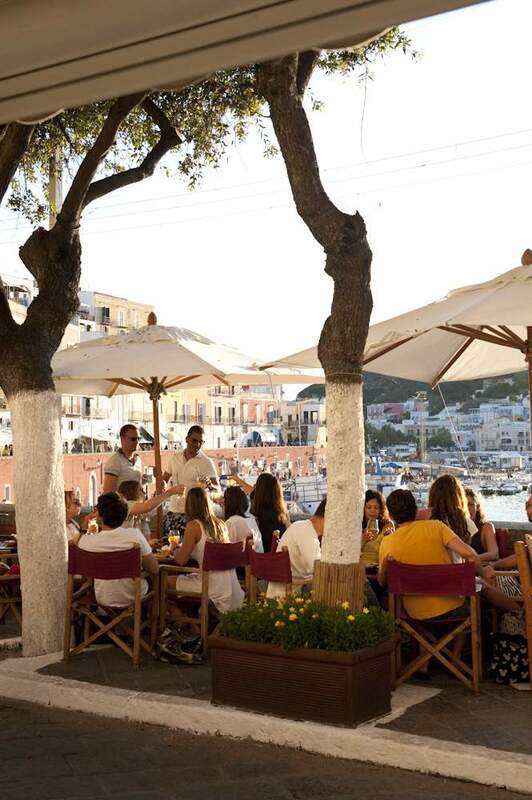 Beyond July and August, Ponza is relatively free of mass tourism. It also seems innocent of commercialisation: no supermarkets, just proper old-fashioned grocery stores; no surfeit of trashy souvenir bazaars, but rather little shops selling the practical accoutrements required for swimming, scuba diving and sailing. Tiny restaurants ply simple Neapolitan-influenced fare, like salt cod fritters, discs of fried eggplant, or zucchini flowers, as well as a bounty of local seafood, naturally. The best way to see the island is by sea, and small boats are available to hire to tour the island’s grottos – look out for the rare monk seal, sometimes spotted bobbing in the underwater gallery. Mexico City is the oldest capital in the Americas, one of only two founded by native Americans. Now the time has come to acknowledge it as one of the great eating cities of the world. 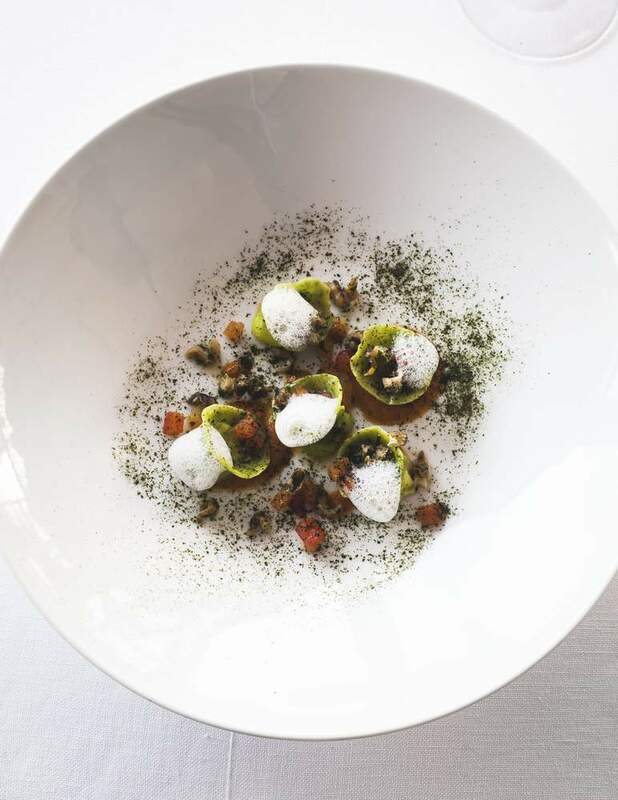 At the top tier, the city’s brightest culinary talents are as inventive and inspired as any in the world, and they draw on a deep well of inspiration. 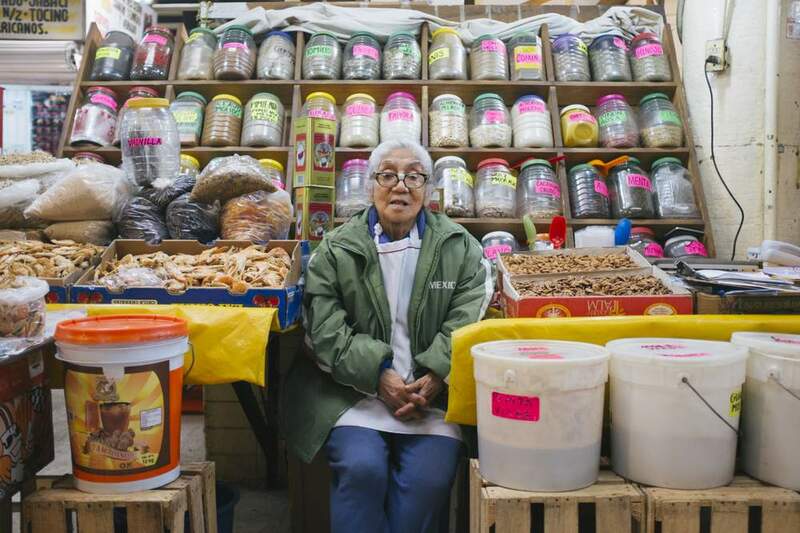 On the street, in the markets and in home kitchens lives a cuisine that has ancient roots. 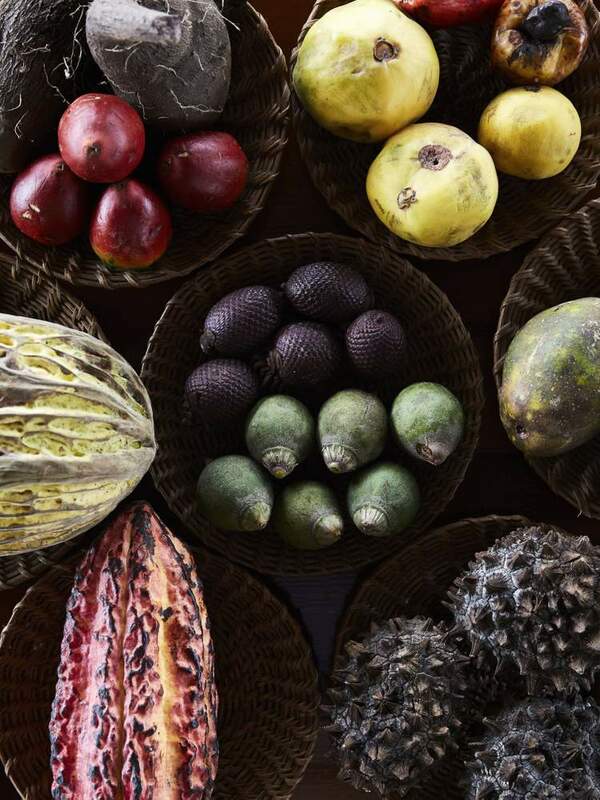 Inside the Mercado San Juan you’ll find bushels of dried crickets and mealworms, great baskets of morels and bags of dried fish and chillies alongside exotic meats such as iguana, armadillo and, alarmingly, lion. In its cafés, third-wave coffee is made from local beans, and the hip cocktail bars and neighbourhood bistros punch well above their weight in the creativity stakes. You could spend a lifetime studying just the taco culture of Mexico City, but to discover the heartbeat of modern Mexican dining right now, head to chef Enrique Olvera’s Pujol in the glam Polanco district, where he continues to explore his nation’s food with a blend of playfulness and respect, or Quintonil, where Jorge Vallejo’s cuisine overflows with energy and good ideas. Right now, Mexican food of the future and the past, the food of Mexico’s streets and its most exclusive tables, all rubs shoulders in a convivial way, right in the heart of the country: the capital. 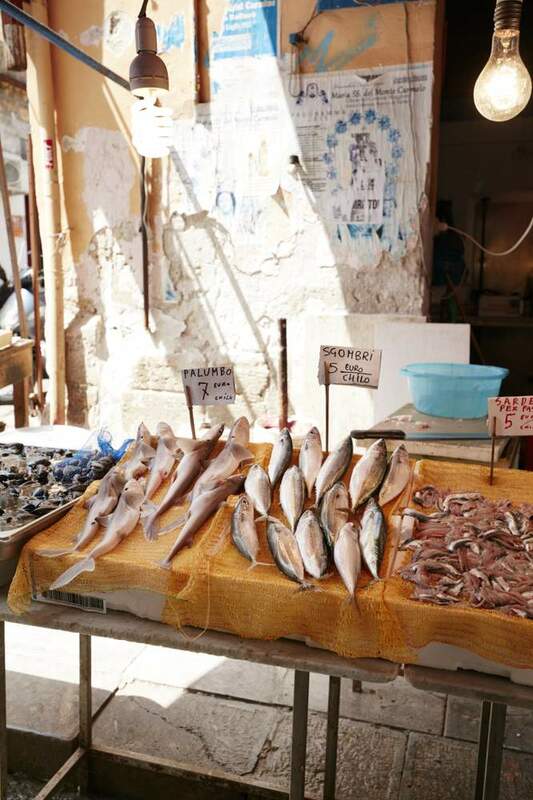 Fish at the Ballaro Market. Sicily’s capital, once plagued by mafia influence and cultural abandonment, is on the cusp of renewal. A new generation of entrepreneurs is transforming its gritty charm, opening wine bars, rebuilding palazzi and reclaiming the streets from the 25 centuries of historical havoc – invasions, conquests and bombings – that rendered its steep decline. The marina has been cleaned up and glass-box buildings house bars and restaurants where people gravitate on sunny Sundays for late-morning Aperol Spritzes. Now, Parisian-inspired bistros, trattorias and wine bars spill out onto pavements, while cultural events take place inside historical buildings previously shuttered to the public. Then there’s the street food, more acclaimed than most of the city’s restaurants. A plate of just-cooked panelle, chickpea-flour fritters, from Friggitoria Chiluzzo near the harbour in Piazza Kalsa may well be the best one euro ever spent. 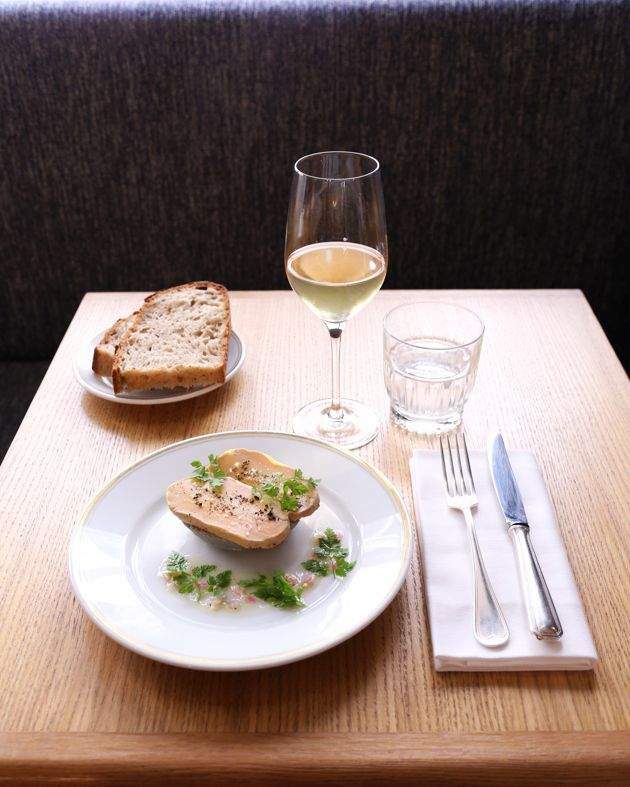 There’s no other city that prompts a loftier level of gastronomic anticipation than Paris. The question is: does it continue to live up to its reputation? In a word, oui. 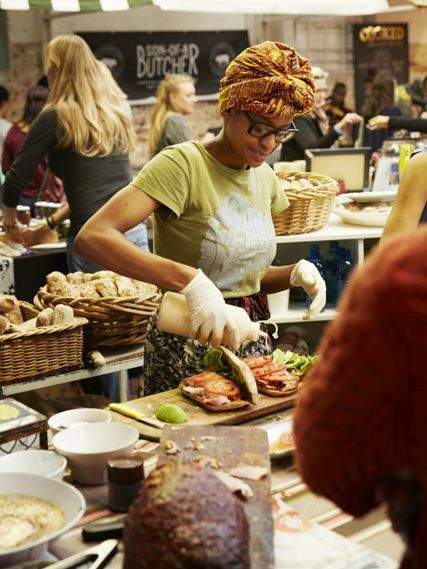 The way Parisians eat is more cosmopolitan and less formal than ever before, and it is here that the world’s most ambitious and talented young cooks come to hone their skills and test their talent. Along with the influx of international talent, new formats such as Australian-style cafés are enlivening casual dining. The standard of foreign offerings (Vietnamese, Sicilian, Hunanese, Sichuanese) is noticeably better, and there’s a revival of indigenous bistrot a vins. And so the epicurean radiance of Paris is being renewed for a new century. Be part of the change by flying to Paris from Sydney, from 70,000 Membership Rewards points* with Cathay Pacific. 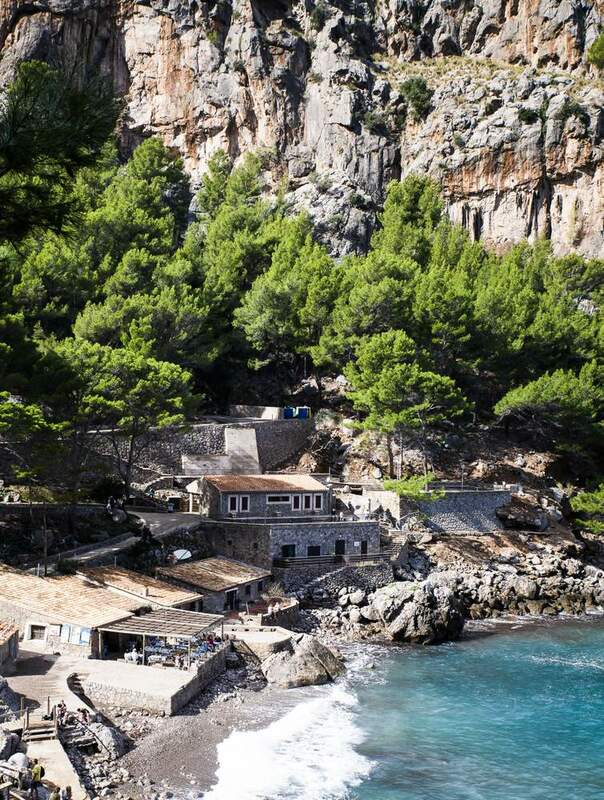 Sa Calobra beach on Mallorca's north-west coast. This gem in Spain’s Balearic Islands has more to it than a reputation for partying. Discover Mallorca’s charismatic culture and cuisine in the charming capital, Palma de Mallorca, blessed with a long city beach, cobbled streets and a magnificent landmark, the Gothic cathedral of La Seu. 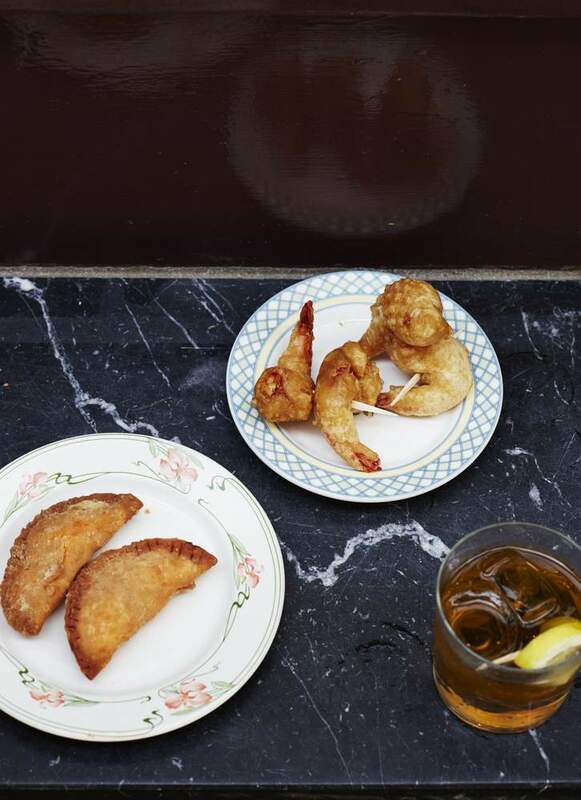 Residents in home-grown Camper shoes and Massimo Dutti sweaters gather for tapas in La Llonja, the city's bustling restaurant district, and zip across town on scooters to open-air galleries, sculpture gardens and produce markets. A favoured holiday spot of the Spanish royal family, Mallorca has a permanent beach-holiday ambience and year-round blue skies. Detractors have long maligned LA as a cluster of suburbs in search of a metropolis, yet that old observation is starting to ring hollow. An urban experiment with the potential to dramatically alter the topography of the city is underway – the renaissance of downtown LA. The rebirth of the city’s central business district, frozen in time for decades, spans the revitalisation of landmark structures, the unveiling of new buildings, and the evolution of residential neighbourhoods; the area is currently home to 50,000 residents, five times as many as a decade ago. Though it’s still a work in progress, change is in the air. Streets that once looked abandoned after business hours now hum with people. Slowly but surely, DTLA is becoming a confluence of art, architecture, design and food that’s cosmopolitan enough to entice even the fussiest urbanite. 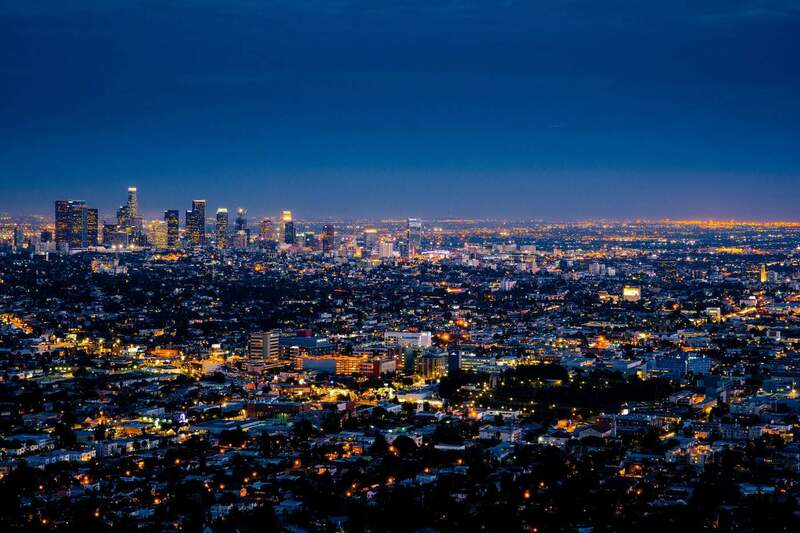 Step into the story yourself, flying from Sydney to Los Angeles from just 44,800 Membership Rewards points* with Virgin. The vastness of the African landscape is shrunk by the intimacy of Cape Town, which is full of soul and character. The coastal South African city is a mesh of surf culture, extraordinary wineries just kilometres away, creative food and breathtaking scenery. A scenic drive taking in Chapman’s Peak shows off the diversity that makes it so beautiful, and in August and September whales can often be seen just off the coast. Shop for organic produce at the markets on Saturday mornings, taste South African craft beer at an open-air bistro, or sit in the hot seat for a close shave at a barbershop. For those who can't wait to get there, fly from 60,000 Membership Rewards points* from Sydney with Qantas. 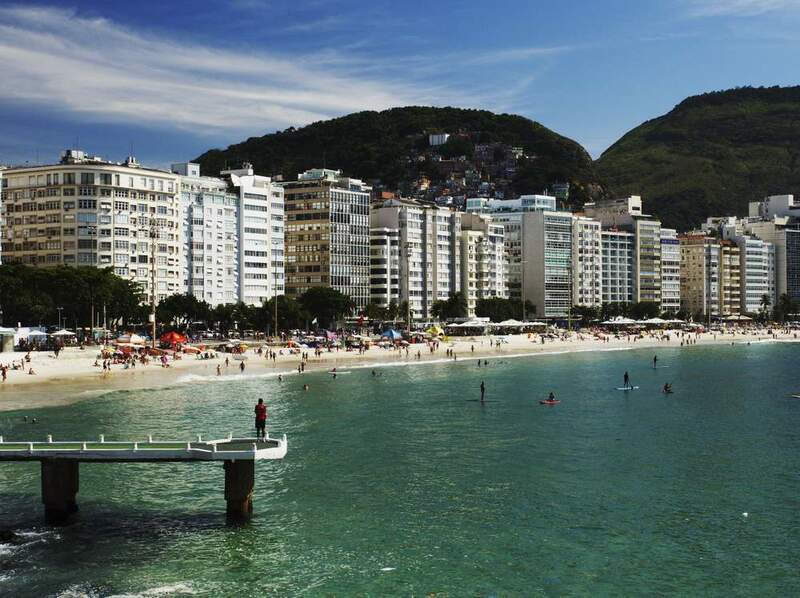 Brazil's most picturesque city will always deliver scenes of beaches packed with bronzed locals and dramatic vistas of sea, city towers and forested mountains, but thanks to the 2014 FIFA World Cup and the Olympics it now boasts new promenades, galleries, museums, bike paths and hotels. International hotel chains, too, have gathered en masse in Rio, triggering a flurry of openings in the past three years. Several neighbourhoods have been spruced up, some beyond recognition – most notably Centro, the once unsafe and crumbling old downtown quarter. On weekends, when beaches like Copacabana, Ipanema and Leblon reach full capacity, one lane of the beachfront avenues is closed to traffic and filled instead by joggers, cyclists, and parents pushing strollers. Only in recent years has fine dining gained popularity here. For decades there were just a handful of upscale restaurants in the city whereas now there are plenty. Although fears of Zika virus hover, and muggings and robberies also present real danger, this is a city that famously loves a party, and travellers are enjoying the vibe long after the biggest sporting event on earth has ended. The Peruvian section of the Amazon is surreal, beautiful and breathtaking in equal measure. There are animals everywhere: three-toed sloths and birdlife as whimsical and colourful as a fairy tale. At night, the rainforest comes alive with squeeps and croaks, whirrs and buzzing, tinks and grunts and the deep-throated "gronk" of giant monkey frogs calling for mates from their treetop lairs. Fireflies blink by the banks. The night sky blazes with neon stars, a carpet of sparkle that unfolds gradually as the last light fades. There’s no better way to see it than from one of the luxurious riverboats that ply the waters between Iquitos, the gateway city to the Peruvian Amazon, and the Pacaya-Samiria National Reserve, Peru's largest wildlife sanctuary. On the quiet back roads of the Vaucluse in north-west Provence, explore an untouched region of rustic market villages, rugged mountains and spectacular produce. Apart from its wine, this mountainous region is famous for the legendary Ventoux, the hardest climb in the Tour de France. 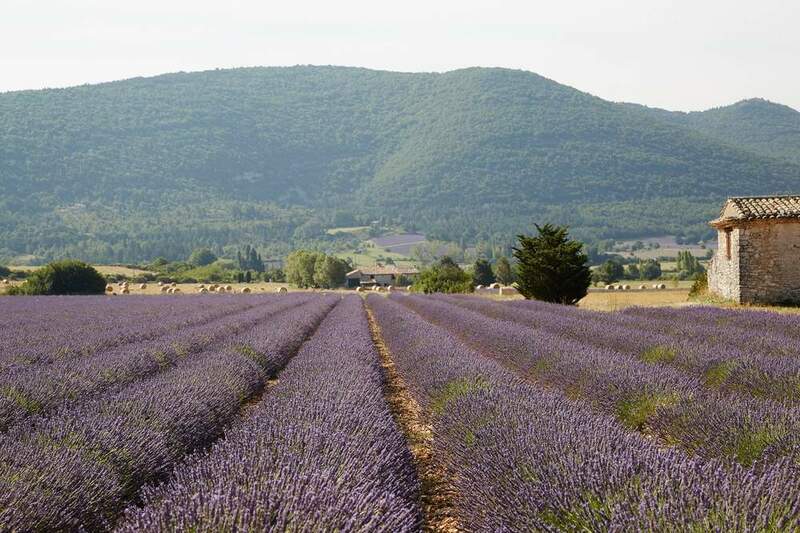 Compared with the Lubéron and especially the Riviera, the region is Provence untouched and untouristy. Some of its prettiest villages don't even have shops, let alone boutiques. The spectacular produce in the markets – Carpentras strawberries, melons from Cavaillon, Venasque cherries, Caromb figs, white and green asparagus from Monteux – doesn't always translate into great restaurant food, but you'll eat like a cardinal if you know where to go. It’s possible to jump from tiny cheese producers to lavender fields, cosy restaurant terraces and vineyards in a single afternoon. Why Sri Lanka now? As a holiday destination it scratches the same itch as Myanmar: off-piste and only recently explored by folk who appreciate sheets with the right thread count. After so much hardship – a 26-year civil war that ended in 2009, a devastating tsunami in 2004 – the sense of confidence and vigour is infectious, particularly since a change of government in 2015. The backpacking hotspot of the '80s has resurfaced in peacetime with a fresh take on gracious hospitality, and it includes boutique hotels and small-scale resorts. Cashed-up, grown-up backpackers are returning with good reason. Go for the time travel, the food, the "polite", the tea leaves breaking against your thighs as you walk up and up, back to something old and lost. It photographs quite well on your phone, but that's nothing like the experience of being there. The first thing to realise on touching down in Tokyo is that you have arrived not in a city but in a conglomeration of cities, each with its own character. Shinjuku: neon, with a certain seediness in parts, and some wonderful department stores. Harajuku: youth culture and Yoyogi Park. 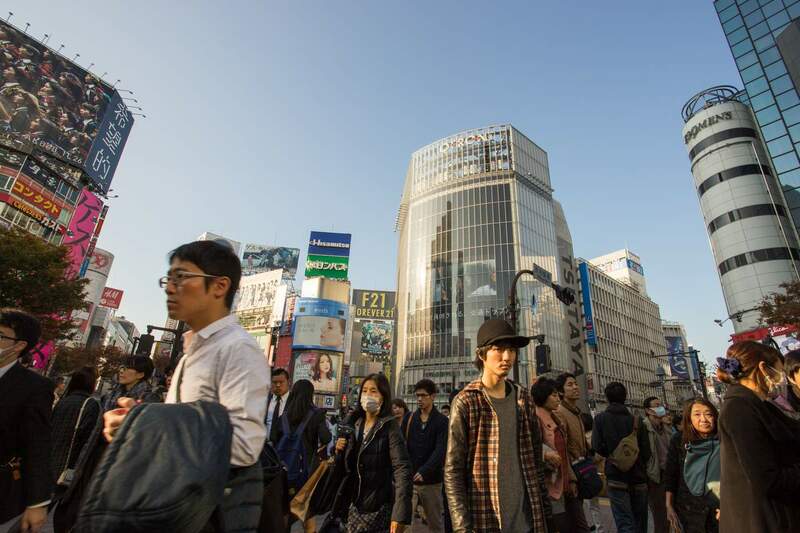 Ginza: home of international brands and all the shopping you could ever need. Omotesando: boutique clothing stores. Daikanyama and Nakameguro: small, unique design shops. Koenji: Tokyo’s new home of all that’s cool. Then there’s the food. Wherever you are in Tokyo, you’ll be able to find somewhere special to eat, from ramen shops for ten-dollar bowls of noodles, to big-ticket establishments. Sushi is a must, of course, but it’s not just about the small morsel of fish and rice in front of you – it’s about the choreography of the chef, the timing, and the almost reverential atmosphere. 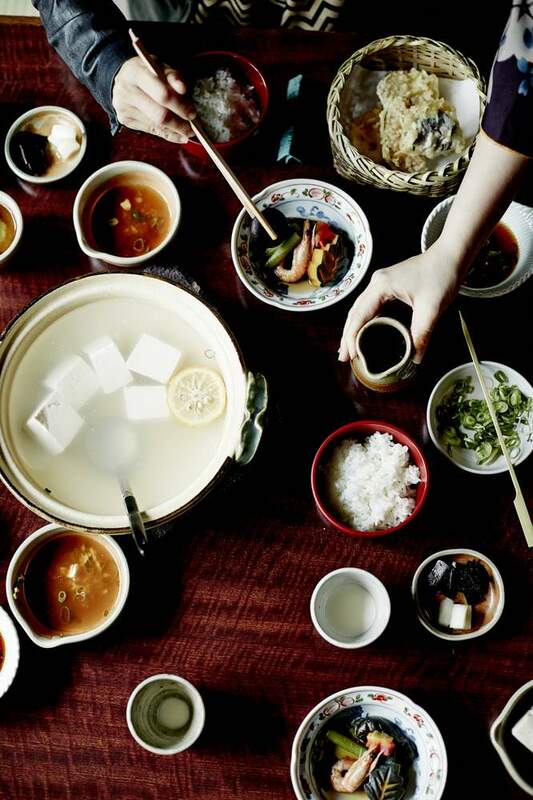 Fly from Sydney to Tokyo to experience some of the best places to eat. From rowdy, smoky, grimy joints to more refined, stylish places - all reachable from 25,000 Membership Rewards points* with Cathay Pacific. No matter where you end up eating or drinking in Tokyo, the city will deliver something new, something surprising, and perhaps something magical. Hedonistic Hiking’s motto is "Food, wine, walking", and that, in that order, pretty much sums up the experience. Between May and November founders Jackie and Mick Parsons lead tours in Italy, from Tuscany to Basilicata, each timed to coincide with the best season to visit – Siena for the Palio, Friuli for the wildflowers and the cherries. The Slovenian nine-day journey starts in the capital, Ljubljana, and ends among the Collio Hills of Friuli in neighbouring Italy, a route that offers ample mental, as well as physical, stimulation. Each tour is joined by its very own “gastronomic guide”, and lunch each day is composed from local produce such as foraged mushrooms, wine, salamis and cheeses (plus optional schnapps, made with summer’s blueberries), each meal connected to the region. In surroundings this beautiful, especially during peak wildflower season, the hiking is never gruelling or unpleasant, and the altitude encourages a lightness of spirit. The name Versilia refers to the strip of land hemmed tightly between the sea and the mountains in the province of Lucca in north-west Tuscany. During the Belle Époque, the strip of towns – and its largest city, Viareggio, in particular – attracted swarms of well-heeled tourists from all over Europe. Puccini lived here for about 30 years and composed many of his operas here, inspired by the "luxurious, fantastic sunsets" over Lake Massaciuccoli. Today the tourist deluge has dwindled to a trickle, but the area is still popular with Italians. They go in summer for the sun and beaches, but, as is the case everywhere along the Italian coastline, there's enough culture and history and natural beauty to woo the discerning traveller at any time of the year. The coastal strip exudes history, and seafood prevails on every menu. A train ride through the Canadian Rockies spirits you from Vancouver north-east to Jasper, with an add-on bus ride to the national park resort town of Banff. 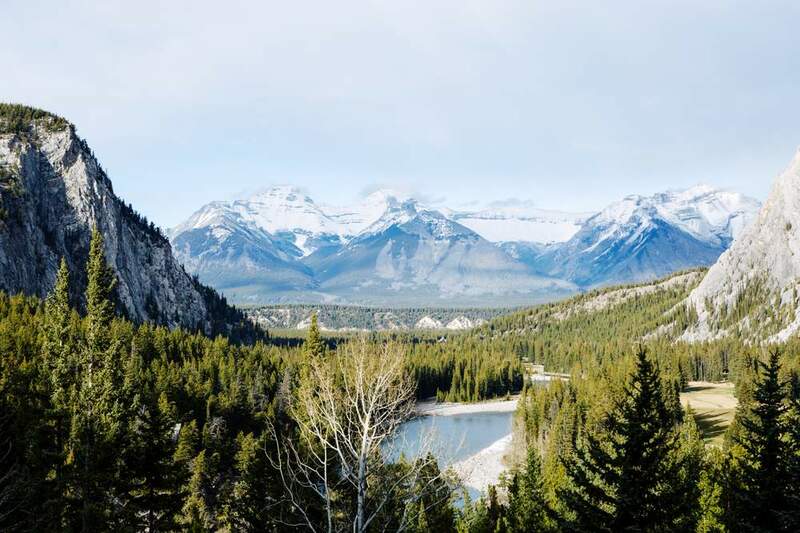 Named "Journey through the Clouds", this is the Rocky Mountaineer’s flagship 900-kilometre route through prairies awash with wildflowers, and snow-capped peaks. The double-deck carriages are spacious, the reclining seats wide and comfortable, with generous-sized tray tables and cashmere blankets tucked into the front pockets. With a glass of Sumac Ridge chardonnay in hand, settle into the ultimate armchair adventure, passing elk and eagles, cargo trains and logging towns, osprey and bison. At a maximum speed of about 50 kilometres per hour, there's plenty of opportunity for marvelling. Roadtripping on the NSW Far South Coast reveals the magic of one of Australia's best-kept secrets. 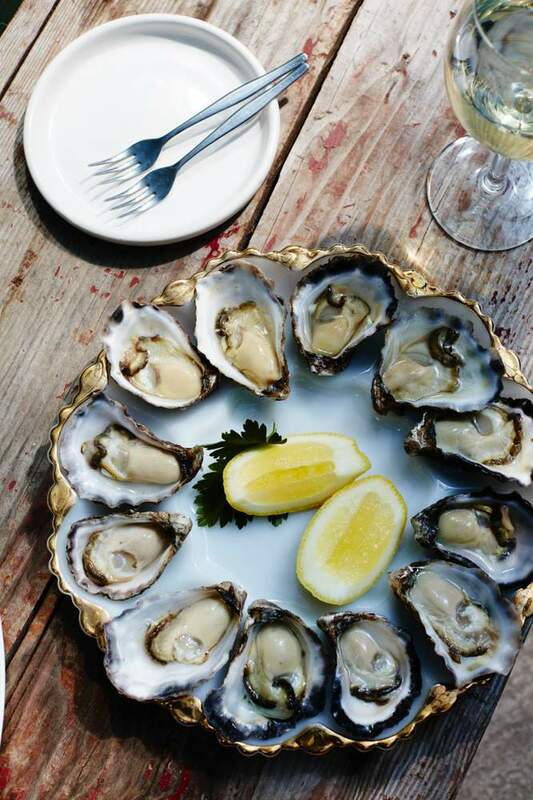 The heart of the country's premier oyster-growing region also boasts some of the best dairy country around, and there's a growing realisation that the South Coast is one of the best food destinations in the country. Running roughly from Bermagui to Eden, taking in a clutch of heritage hinterland towns including Central Tilba, Cobargo and Bega, the area is promoted as "beautifully uncivilised". There's nothing remotely uncivilised, however, about parmesan custard with pear, walnut and abbamele or local flathead finished with prawn butter and Pernod at Zanzibar Café in Merimbula, run by Tetsuya’s-trained chef Huw Jones and partner Renée Loftus. Or a dish of just-picked asparagus, hot-smoked blue-eye, pickled carrots and a sprinkle of pork crackling in the farmhouse dining room of St Isidore in Milton, run by chef Alex Delly, formerly of Melbourne's Circa, and partner Jo Thomas. Or a Young Henrys unfiltered lager in the garden at Dulcie's Cottage in Merimbula, a bar run by Mitchell Nadin and Kirsty Pongratz. Or freshly shucked Wapengo Rocks oysters and a 15-year-old Laphroaig at the Bermagui Oyster Room. Or coffee at The Wharf Locavore gallery-café, served while you're dangling a line off Tathra's historic steamer wharf. First there was Ita, then there was Nathan. Two cyclones and nearly $50 million later, the all-new resort on Lizard Island has opened. 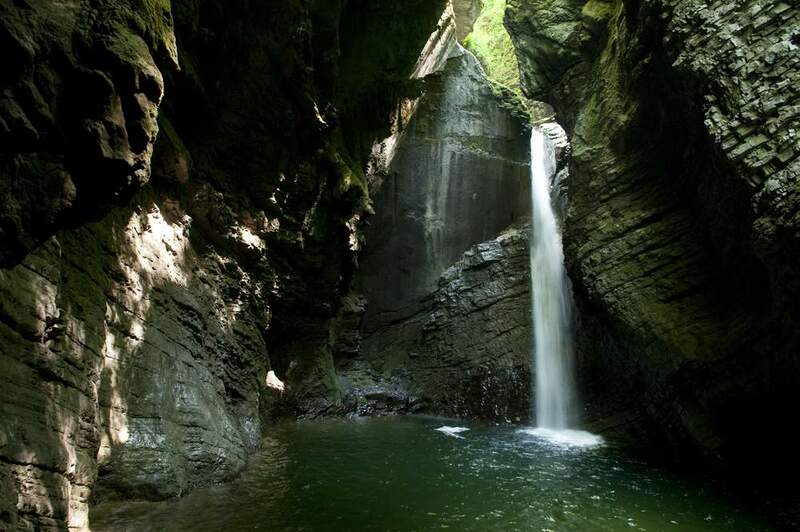 On land, everything has been rebuilt within the 1000-hectare national park resort's existing footprint. Melbourne studio Hecker Guthrie has designed the interiors with a breezy, relaxed, beach-house feel, evoked by a serene palette of white, sand and seagull grey. Details are echoed in the spa and in the dining-lounging pavilion, open to the bay. 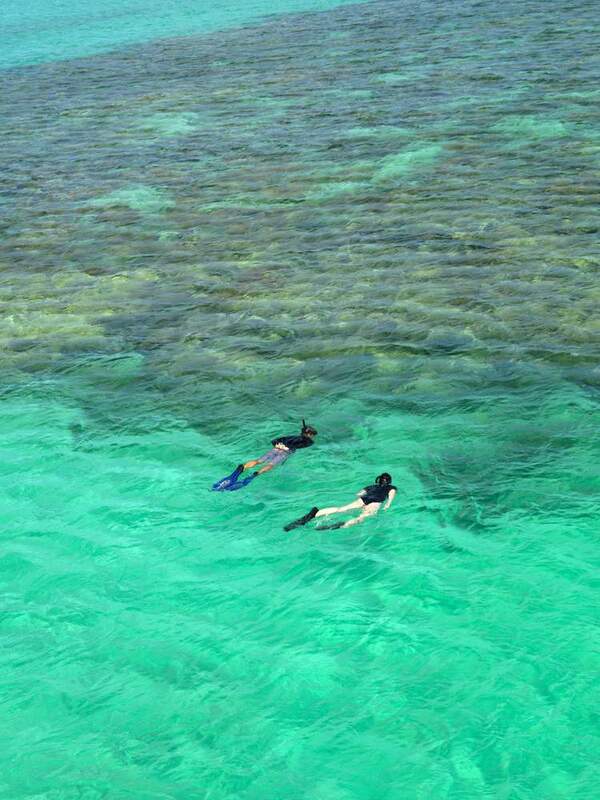 There's a tennis court, pool and gym, though the best exercise is on the water – stand-up paddle-boarding or paddling clear kayaks over coral gardens – or on one of several scenic hikes. This is when you're likely to spy a yellow-spotted monitor, the lizard that inspired an anxious Captain Cook when he named the island in 1770. Tokyo has been Japan’s seat of power since 1868, but Kyoto was the capital for a thousand years, and remains its cultural centre. It's also central to the spiritual life of the nation, steeped in symbol and tradition, and here religion and scholarship loom large. Within its limits lie about 1600 Buddhist temples and more than 400 Shinto shrines, each with its own garden. They are as grand as the Golden Pavilion, and as idiosyncratic as the small Shinto shrines dedicated to everything from academic achievement and horse racing to dancing and hair. It would take you five years to see them all properly. The careful layering of symbols finds its apotheosis in the tea ceremony, and in its attendant cuisine, kaiseki, both of which are at their most refined here. A taste of kaiseki in its true Kyoto setting is not to be missed. * Conditions apply: Points amount as at 18 August 2016 and subject to change. T&Cs apply. Points are for one way flights, may vary according to airline and are calculated based on an American Express® Platinum Card on Premium Ascent. Fees, charges and taxes not included.